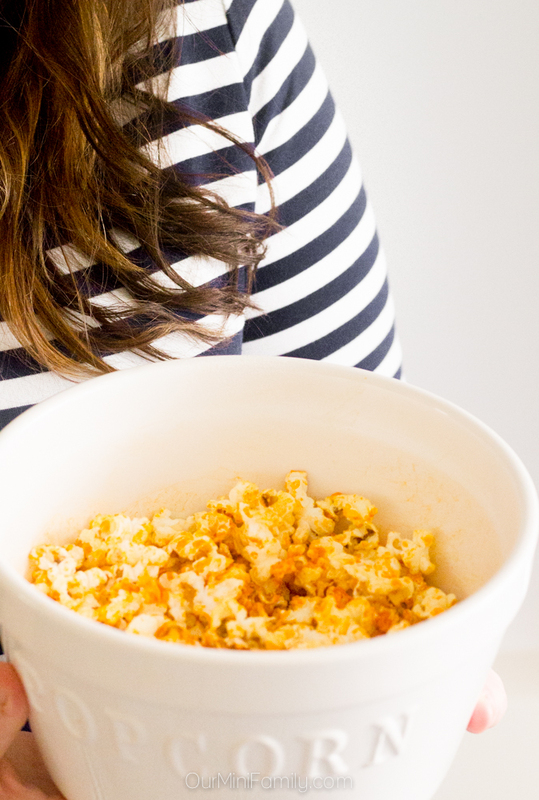 Game day just got better with our new favorite snack recipe--buffalo wings popcorn! My husband and I enjoy spending time together and going grocery shopping for our traditional game day staples (e.g. fries, cheese, beer, vegetables and ranch, chicken wings, etc). A few weeks ago, while we were walking around the deli at Walmart, the smell of buffalo wings was so strong and it smelled so tasty I just had to have some buffalo chicken wings. When I went up to the counter to order some wings, Adam grabbed me by the shoulder and stopped me when he said, "wait, I have an idea!" He bent down and began digging through our grocery cart until he finally held up a single box of popcorn. That was when he said it would be tasty to make buffalo wing flavored popcorn. Laughing at first at how silly it sounded, imaging chunks of chicken wings inside a bowl of popcorn I told him it sounded like a good idea but that it wouldn't taste right. After a few minutes of Adam explaining his idea and what ingredients he'd use, that's when the idea of my husband's eureka moment finally started to settle in. 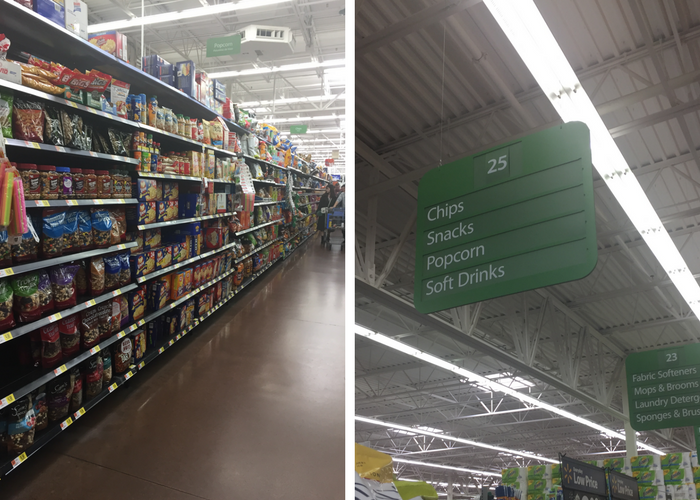 We hurried around the store finding everything we needed, and then went straight to the checkout and headed home. Game day arrived just a few days later, and lo and behold, Adam's idea became our new favorite game day snack! 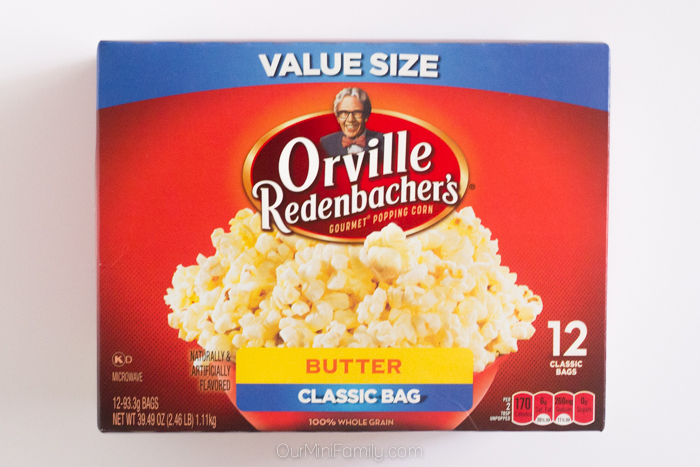 Prepare the Orville Redenbacher® popcorn and set aside. Heat buffalo hot sauce, water, and crushed red pepper in a small stovetop pot and bring it to a boil. Turn down to a medium-hot heat and add the butter. Mix well. Once the butter is completely melted, pour the mixture over the prepared popcorn. 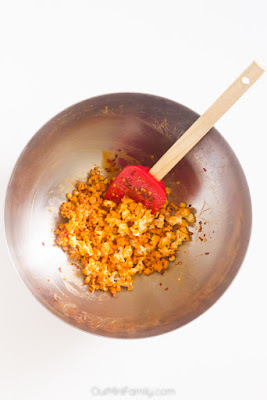 Work quickly and toss the popcorn in the buffalo mixture completely. 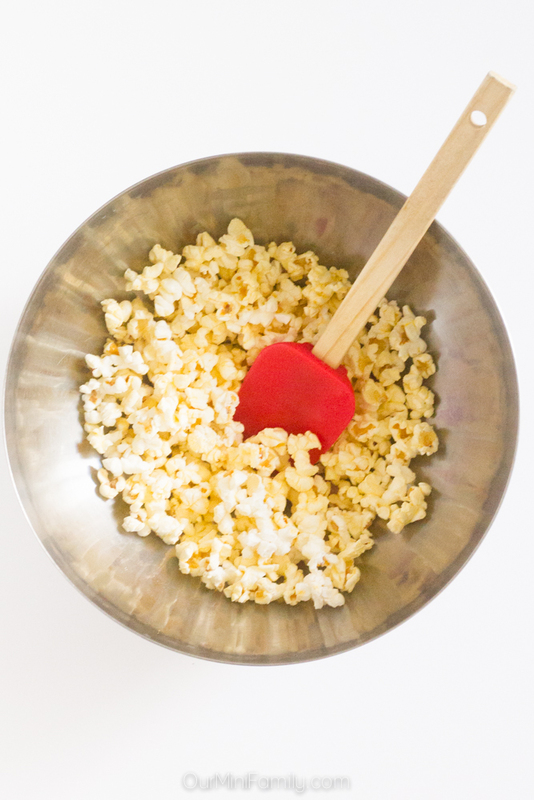 Pour the popcorn onto a baking sheet, spread it out, and bake it in the oven at 325 degrees (F) for 25-30 minutes (flip the popcorn once about halfway through). 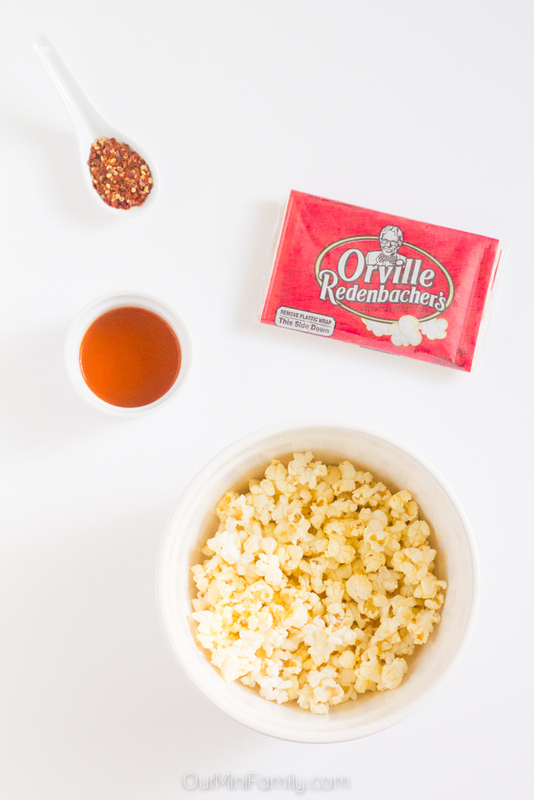 Orville Redenbacher® is an essential for game day (especially if you're hosting a party for the big game this year!) 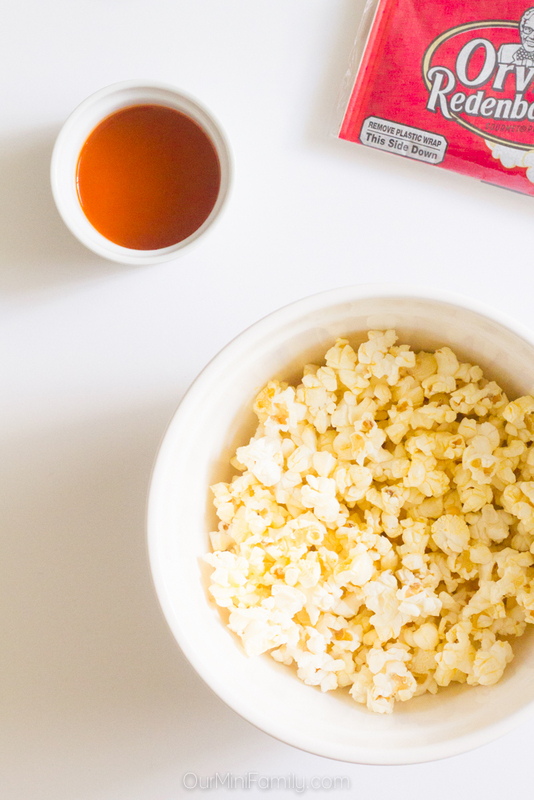 Whether you prefer your popcorn a little sweet, spicy, or just plain buttery, make sure to whip up a big bowl of popcorn for your game day fanatics to enjoy! Find even more inspiration for your game day party here! Wow! Buffalo Wings Popcorn?! That sounds ahmazing! Did y'all end up making some? We enjoy trying out different popcorns and coming up with unique flavors. Will have to try this flavor out. This looks so good and easy! I've tried those powder seasonings and they don't really "stick" to the popcorn. I'm gonna try this instead! Thanks! I know what you mean--hope you enjoy this recipe! OMG my husband is going to go nuts over this. Buffalo is his favorite! WHAT? I never would have put those two together but now I want to try. Fun fact: I'm from Buffalo and no one from there calls them Buffalo wings. If you do no one will know what you are talking about. We just call them chicken wings. Seriously though, this sounds amazing. That is a fun tradition you two have! This sounds fantastic! I love spicy snacks, and this would totally fit the bill! Yum! Perfect if you love snacks with a little heat! er.... yum!! Such a great idea! OMG! I have never heard of Buffalo Wings Popcorn before but I am totally going to try it! Thanks for sharing. 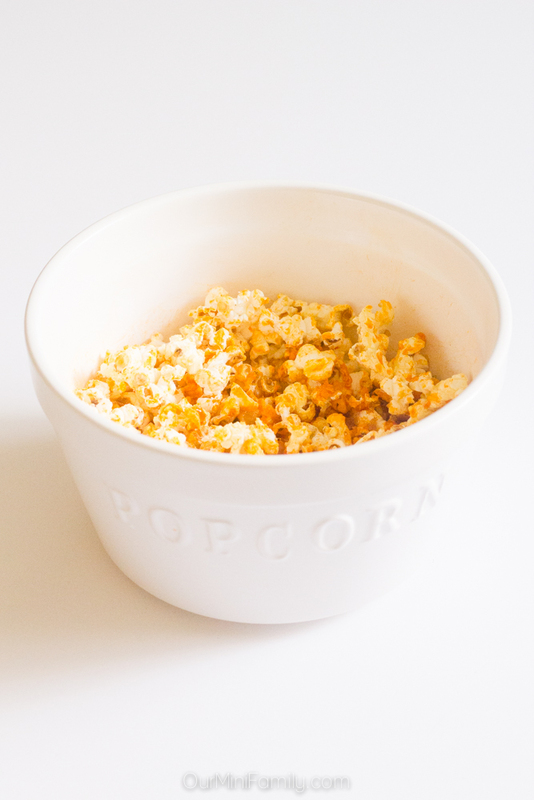 Wow I love popcorn and have never thought to do something like this! It sounds so good and I can't wait to try it!! Great recipe can't wait to try this at a party! Everyone loves buffalo and popcorn, it was a great idea to put them together! It's perfect party food! Hope you all enjoy! Whoa! Buffalo Wings Popcorn? I LOVE this idea! What a fun twist on two game day faves, combined! Yumm! Love, love, love the idea! Glad you love the idea, Veronica!